Before you turn to the next recipe, this is not your average fruit cake drowned in alcohol before it heads into the bin after the holiday season. 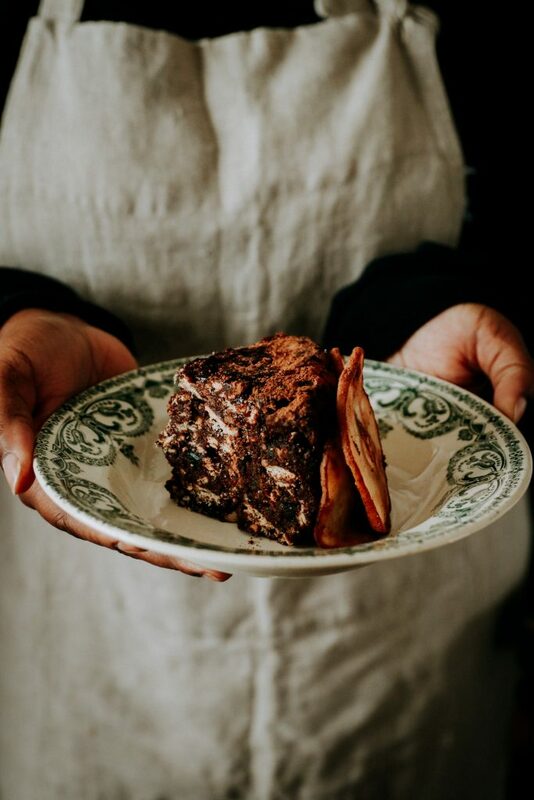 Its texture resembles more that of a bread pudding meets tiffin, and blends tart and sweet perfectly to create a comforting autumn and winter dessert. 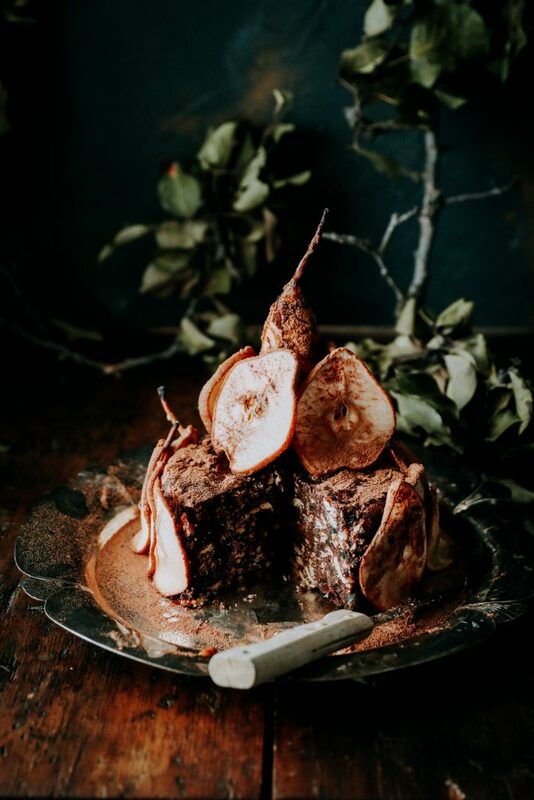 The recipe was developed by Rodica Godlewski during the Michigan autumn when the leaves very much resemble the dried pears stuck to the sides of the Brockmans Fruit Cake. Originally from Romania, she settled in Rochester Hills where she creates a wide range of recipes inspired by the season’s fruits and root vegetables. Her eye for detail means she can hone in on particular ingredients to bring out their best flavours, something she’s done by mixing four types of fruits with nuts, biscuits and cocoa in this particular recipe. If you’re looking to impress with something a little different this Thanksgiving, try this cake as you sip our warm winter mull. Heat the oven to 120 degrees C (250 degrees F). Line a cookie-pan with parchment paper. Cut each pear into thin strips, lengthwise, and then arrange them in a single layer on the pan. Brush with Brockmans gin and then sprinkle with sugar. Dry the pears in the oven for about 3 hours. 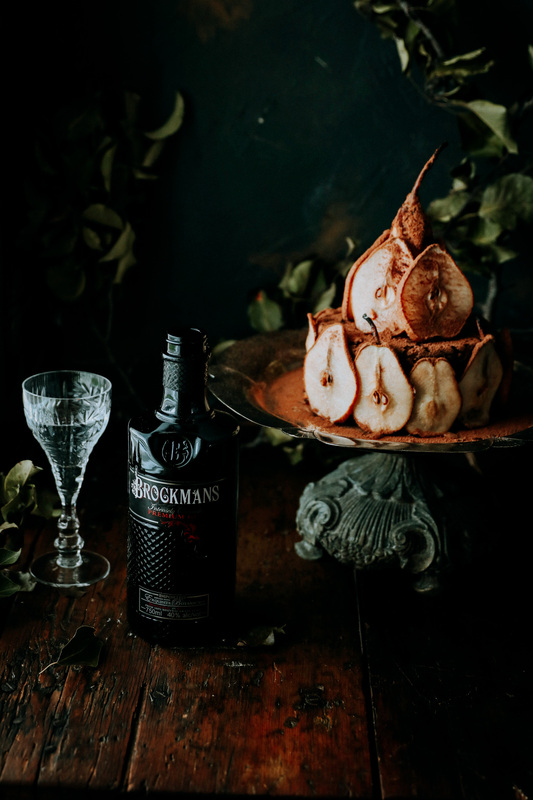 Meanwhile place the whole pear into a sauce pan, and top with the water and Brockmans gin. Boil on medium heat until the pear is slightly soft (about an hour). In a separate bowl combine the chopped Turkish delight, walnuts, plums, raisins and dried apricots. Add the Brockmans gin and soak for 10 minutes. Crush the tea biscuits into 1 cm (0.40 inch) wide pieces and then add them to the soaked fruit mixture. In a different pan melt the sugar and butter in the milk, on low heat. Once melted, remove from the heat and add the cocoa and lemon zest. Mix vigorously until incorporated. Add the milk mixture on top of the fruit mixture and incorporate. 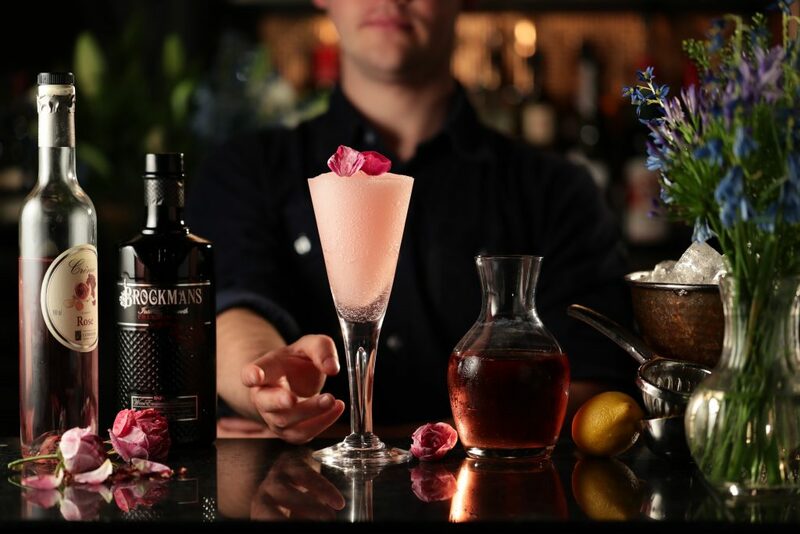 If the composition is too soft, add more tea biscuits, and if it is too hard, add more Brockmans gin. The mixture should resemble a crumble consistency. Coat the cake-pan in clear plastic wrap, pour the composition in, and freeze for about 2 hours. Remove the cake from the pan by the help of the plastic wrap, then discard the wrap. 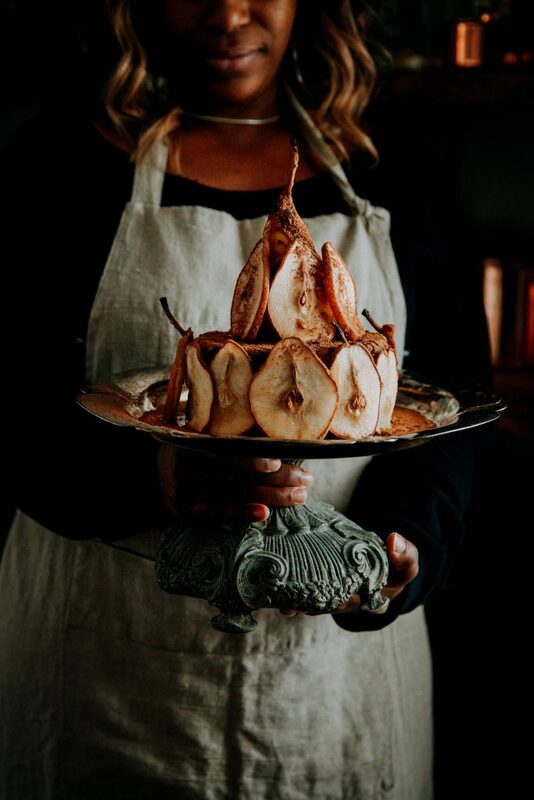 Place the cake on a cake stand, top with the poached pear and then arrange the dried pear slices around it. Dust with cocoa. Let it sit at room temperature for half an hour, then enjoy.